Dana Johnson, Office Administrator Dana keeps us organized and makes our office run smoothly. 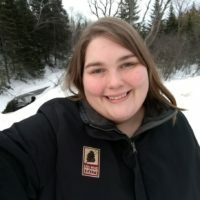 Dana was born and raised in Grand Marais and she is passionate about the area. When she's not ambling about in the woods or fishing, she involves herself in a variety of creative projects. The North Shore provides her with endless inspiration, and after living in southern California for a few years she's happy to be back with future plans to homestead.